Charles (François Antoine) Lallemand was born on June 23, 1774 in the town of Metz in northeastern France, the son of a wigmaker. He volunteered to join the French artillery in 1792, when France went to war with Austria. The following year, Lallemand switched to the cavalry. He caught Napoleon’s attention early on, serving as an aide-de-camp to the young General Bonaparte during the rising of 13 Vendémiaire, and then as a lieutenant in Napoleon’s Italian campaign of 1796-97. Lallemand fought in Egypt as an aide to General Jean-Andoche Junot. He also served in the unsuccessful French expedition to Saint-Domingue under Pauline Bonaparte’s husband, Victor Leclerc. On his way back from Saint-Domingue, Lallemand stopped in New York. There, in April 1804, he married Marie Charlotte Henriette Lartigue (known as Caroline), the 16-year-old daughter of a wealthy Saint-Domingue landholder. Returning to Europe, Lallemand continued to serve under General Junot. Caroline became a close friend of Junot’s wife Laure. The latter offered this description of Lallemand. Lallemand’s ease and humour, coupled with his skill on the battlefield, led him rapidly up through the ranks. He commanded various units of dragoons in the campaigns against Austria, Prussia and Russia. He fought in the battles of Austerlitz, Jena and Friedland, among others. He went with Junot to Portugal and fought in the major engagements of the Peninsular War. In 1811, he became a brigadier general. After the end of the Peninsular War in 1813, Lallemand served under Marshal MacDonald in Germany. He then served under Marshal Davout in defence of the city of Hamburg. When Napoleon abdicated in April 1814, Charles Lallemand remained with the French army and entered the service of Louis XVIII. He was stationed in the Aisne. In March 1815, on hearing that Napoleon had escaped from Elba and landed in the south of France, Lallemand and his younger brother Henri joined Charles Lefebvre-Desnouettes (who had served with the Lallemands in Spain) in gathering former units of the Imperial Guard to march on Paris. Their aim was to capture the arsenal of La Fère. The plot was discovered. On March 12 they were arrested on charges of conspiracy and treason. When Napoleon reached Paris he freed the conspirators and rewarded Charles Lallemand with command of the chasseurs à cheval of the Imperial Guard, one of the most prestigious commands in the Grande Armée. He also promoted Lallemand to lieutenant general and made him a baron of the Empire. Lallemand remained with Napoleon right up until the latter was transferred to HMS Northumberland for the journey to St. Helena. Marchand described the parting. Click here to read Lallemand’s account of Napoleon’s departure. As he was bidding farewell to the Emperor, Lallemand had his own reasons for wanting to get away. He knew that a French ordinance of July 24, 1815 mandated him to be court-martialed for betraying the King. Lallemand was sentenced to death in absentia. Like Napoleon, Lallemand threw himself upon the mercy of the British. They conveyed him – along with Savary and Nicolas-Louis Planat de la Faye – to Malta in September 1815 and imprisoned him in Fort Manoel. In April 1816 the prisoners escaped, apparently with the British government’s agreement. Lallemand headed east, to Smyrna and Constantinople. He asked the Ottoman sultan to appoint him as a military instructor to the Turkish army. He was turned down. Lallemand received the same response when he offered his services to the shah of Persia. Back in Constantinople, Lallemand received a letter from his brother, Henri, telling of his arrival in the United States with Napoleon’s brother Joseph Bonaparte and other Napoleonic exiles. In early 1817, Charles Lallemand departed for America. Charles Lallemand landed in Boston in April 1817. By that fall, he had become president of the Society for the Cultivation of the Vine and Olive, which – as described in my post about the Bonapartists in America – petitioned Congress to grant the French emigrants land on the Tombigbee River in Alabama. Instead, the Lallemands came up with a scheme to sell the Alabama land grants to finance an armed expedition to Texas, which was then part of Mexico and under Spanish rule. When evidence surfaced of their involvement in a purported plot to put Joseph Bonaparte on the Mexican throne, Charles Lallemand visited Secretary of State John Quincy Adams and “entered into a long explanation of his views and intentions, with a strong denial of his having ever contemplated engaging in any project contrary to the laws of the United States.” (6) Meanwhile, he continued with his plans. Lallemand fell out with most of the other senior Napoleonic officers in America, who wanted nothing to do with the Texas expedition. In the end, he was joined only by General Antoine Rigaud. On December 17, 1817, Rigaud sailed with the first contingent of would-be settlers from Philadelphia, landing at Galveston Island in early 1818. They were the guests of Jean Laffite, who provisioned the filibusters even while reporting on their activities to the Spanish consul in New Orleans. Some weeks later Charles Lallemand arrived with more officers and munitions. On March 10, the group left for the Texas mainland. They ascended the Trinity River in small boats. They built their fort, the Champ d’Asile (Field of Asylum), at or near the present site of Moss Bluff, south of Liberty. It is not clear what Charles Lallemand hoped to achieve in Texas. Though he stated that the colony’s purpose was agricultural, it was clearly a military camp. He may have wanted to position himself to influence the Spanish and American governments, both of whom claimed the territory. Kent Gardien and Betje Black Klier, in their article about the Champ d’Asile for the Handbook of Texas Online, report that Lallemand offered his services to Spain, but the viceroy turned him down. An emissary of Lallemand’s claimed to have made an arrangement with insurgent Mexicans to train recruits in Texas, the project to be financed by Mexican mine owners. Lallemand allegedly spoke of the wealth and power the mines would give him, which could perhaps be used to rescue Napoleon from St. Helena. The settlers were worn down by hunger, disease, Indian attacks and Lallemand’s iron fist. He and Rigaud quarreled. The colonists divided into partisans of each. Lallemand stationed 20 men around the encampment with orders to shoot anyone who tried to leave. A French official wrote that the fact Lallemand managed to prevent a “general revolt” of his men was “proof of his eminent talents in the art of leading men.” Even so “discontent and disunion manifested themselves” and “duels became frequent and numerous.” (7) One fugitive reported that four men had died at the hands of their comrades. By the beginning of April 1818 only 60 men remained of the 149 who are known to have been at the camp. Lallemand ordered the Champ d’Asile abandoned when he got word that a Spanish force was on its way to eject the colonists. The survivors reached Galveston in July 1818. Lallemand and a few others obtained passage on a US government ship to New Orleans. The rest of the colonists were left to make their own way back, which they eventually did – after a hurricane – with the assistance of Jean Laffite and General Jean Humbert. Most were in New Orleans by the end of November. The Lallemands used newspapers controlled by friendly editors, both in France and in the United States, to depict the Champ d’Asile as a peaceful colony of exiled French heroes. The French newspaper La Minerve raised $15,000 in donations to support the colonists. Upon the colony’s dissolution, the paper’s editors asked the governor of Louisiana to appoint a committee to oversee the disbursement of these funds. In March 1819 the committee invited Charles Lallemand to submit a list of those who had been at the colony. He did not respond. 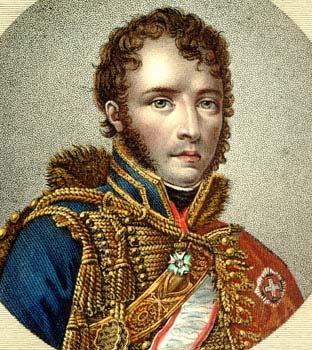 In late April 1820, General Rigaud – who would die just five months later – published a letter in the New Orleans paper L’Ami des Lois asking why his former colleague had not furnished the list. Lallemand responded with a letter of his own. Soon the local papers were filled with accusatory exchanges between the Rigaud and Lallemand factions. The following month Lallemand finally provided the desired list. In so doing, he announced that he would forego his share of the funds, to leave more for the other colonists. Only Louis Lauret followed his example. Though Lallemand had joined the Triple Bienfaisance Masonic Lodge of New Orleans and applied for American citizenship, his credibility suffered from the affair. He was deeply in debt, having in 1819 purchased a house in Metairie and a farm at Bayou Saint Jean, along with slaves, farm equipment and animals. He asked Lauret to secure a loan and then defaulted. Creditors were hounding him and his IOUs were no longer being accepted. In June 1821 Charles Lallemand left New Orleans, supposedly bound for Havana and then Naples. By the end of the year he was in Philadelphia. On June 10, 1822 he boarded a ship in New York and sailed to Bristol. 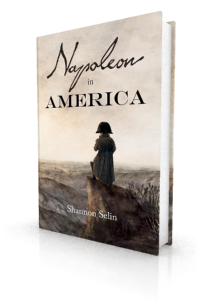 By 1823 he had formed the volunteer “Legion of French Refugees” to help defend Spain from the invading French army, which aimed to restore the Bourbon Ferdinand VII to the Spanish throne (that part of Napoleon in America is not fiction – read about the invasion here). When the Spanish resistance collapsed, Lallemand retreated to Portugal, where he may have spent time in a Portuguese prison. He lived poverty-stricken in Belgium for a while, and then went to London. In 1825, Lallemand became the agent for representatives of the insurgent Greek government in London, who wanted to buy warships for their fight against Ottoman rule. He returned to the United States and negotiated with two New York firms for the construction of two frigates to be named Hope and Liberator. As Lallemand – “who did not know a transom from a trunnion” – allowed the ships to be built by “day’s work” rather than by contract, the price (which included enormous commissions) soared from the original quote of $250,000 per ship to $550,000 per ship. (8) The Greeks found themselves without enough funds to pay. The case went to arbitration. It was agreed that one frigate should be sold to pay for the other. Liberator thus became the US Navy’s 44-gun Hudson, for the relative bargain of $233,000. The Greeks took possession of Hope, notwithstanding the crew’s twice-attempted mutiny on the voyage to Greece. This frigate, renamed Hellas, became the flagship of the Greek Navy. For more about this episode, see the article by Ron van Maanen on the Warships Research blog. In the course of these transactions, tens of thousands of dollars entrusted to Lallemand disappeared. He spent the remainder of the decade running a school in New York. Louis-Philippe restored the imperial military grades, so Lallemand was once again a French lieutenant general. Lallemand remained on reasonable terms with Joseph Bonaparte, continuing to serve as his intermediary in Paris until the Duke of Reichstadt’s death in 1832. Lallemand served as the military governor of Corsica (Napoleon’s birthplace) in 1837-38, then as inspector general of cavalry, and final as inspector general of the Saint-Cyr military academy. Charles Lallemand died in Paris on March 9, 1839 at the age of 64. His name is immortalized on the Arc de Triomphe. Lallemand’s wife – who does not seem to have played a role in his life after 1815 – died on February 20, 1851. They do not appear to have had any children. Laure Junot, Duchess of Abrantès, Memoirs of Napoleon, His Court and Family, Vol. 1 (New York, 1881), p. 471. Louis-Joseph Marchand (Proctor Jones, ed. ), In Napoleon’s Shadow: Being the First English Language Edition of the Complete Memoirs of Louis-Joseph Marchand, Valet and Friend of the Emperor, 1811-1821 (San Francisco, 1998), pp. 319-320. Barry E. O’Meara, Napoleon in Exile; or A Voice from St. Helena, Vol. 1 (London, 1822), p. 511. Albert James Pickett, History of Alabama, and Incidentally of Georgia and Mississippi, Vol. 2 (Charleston, 1851), p. 394. Charles Francis Adams, ed., Memoirs of John Quincy Adams, Vol. IV (Philadelphia, 1875), p. 18. Rafe Blaufarb, Bonapartists in the Borderlands: French Exiles and Refugees on the Gulf Coast, 1815-1835 (Tuscaloosa, 2005), p. 107. Samuel G. Howe, An Historical Sketch of the Greek Revolution (New York, 1828), p. 365. I am grateful to Chris Makrypoulias for assistance in researching Lallemand’s involvement in this venture. Charles J. Ingersoll, History of the Second War between the United States of America and Great Britain, Second Series, Vol. 1 (Philadelphia, 1853), p. 388. There are few men more qualified to lead a hazardous enterprise. He has the feu sacré.